Every normal model of economics I know of assumes that each person can be a moocher in a hammock and/or be a willing worker even if they have to take less pay. Because “willing” used to mean a man doesn’t want to die of starvation. So in a brutal world wages aren’t falling because of the hammock. But still Morgan, welfare has to be built in, right? Look, in the goofy econ literature you all drag and beat to death on whether “marginal” increases in the MW cause more unemployment. Or in the other silly one about whether extending UI benefits causes unemployment, the comparables are always “marginal” ” small” and you guys are fighting over marginal effects. Meanwhile, goofy arguments like “well then, let’s raise MW to $50 an hour!” are waved away as silly. BUT there is one good thing about that argument! The INCREASE IS HUGE! it’s not a marginal change. All of this is a windup David to saying I think you, Roger, Scott need to start using GI/CYB as a theoretical framework to argue with Krugman. GI/CYB posits that at $40 week in an online search system, ALL 30M+ unemployed WILL find buyers, since we are giving them another $280 (or less) in GI, but only if they choose a job from the $40+ pile. And there’s no UI. And it’s not nuts. it can’t be hand waved away. Hell, I got Konczal and deBoer – the LEFTY LEFTISTS that attack Krugman from his flank. Across the pond, there’s Izzy and Frances banging gongs about GI – without work which is silly. Miles Kimball etc. and host of reformcon bloggers keep batting it around. My point is, the quickest way to prove to Keynesians that sticky wages / prices is CAUSED BY THE HAMMOCK is to show them a model with the welfare theorems still built in, but that clears the market week after week, relentlessly. Doesn’t he have to retreat? In thinking about this, I came up with a (potentially unoriginal) reason: tradition. Employment long ago meant you could be hanged, so I think there was a lot of incentive for employees to take nominal wage cuts. 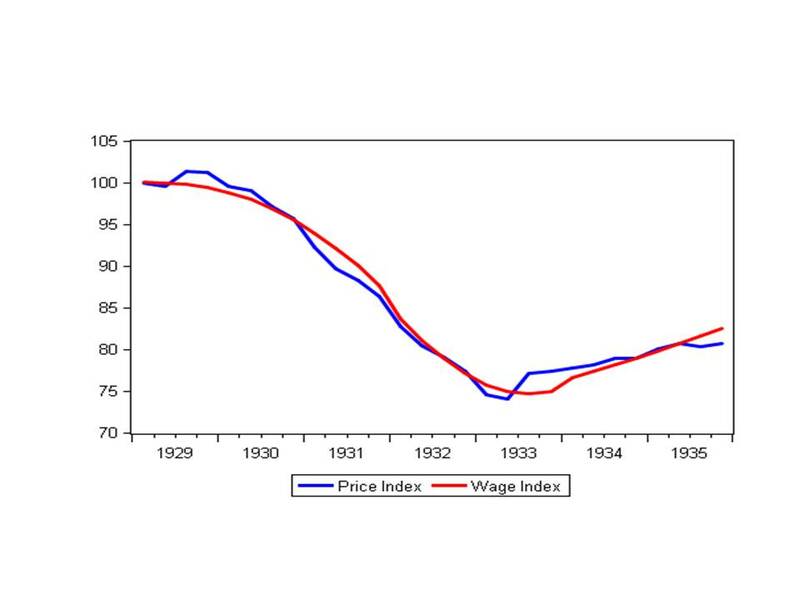 However, early wage work was piece work, hence employers fired people (especially the least productive) instead of lowering wages. This resulted in social systems that evolved to cater to unemployed people (like workhouses) as opposed to hangings. Essentially path dependence means we have traditions around layoffs rather than nominal wage cuts. Mark Sadowski agrees wages are flexible, Tom? Morgan these normal economics books aren’t Macro you know that right-they’re Micro. It’s just a return to pre-Keynes when there was nothing but Metholdoogical individualism.